Many people look for creative and interesting designs when it comes to tattoo art. Some of them end up beautiful while some are so realistic that you can’t help but stare at them for a while! Are you looking for your next inspiration for 3D tattoos? 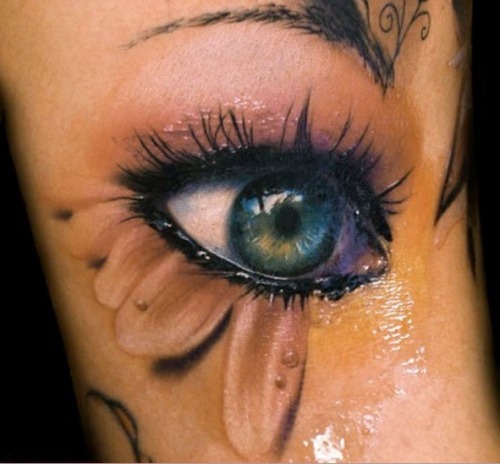 Whether you are in favor of 3D tattoos or not, take a look at some of the most daring designs ever conceptualized. 28. Where’s Your Head At? Look at me while I’m talking to you. That would be the mouth below my nose, thank you very much. This 3D tattoo of a mouth on a scalp is a good scare, especially for the kids. At first glance, you’d think that this is a wooden leg which has been engraved with a really beautiful design. It’s as if you can see right through it. 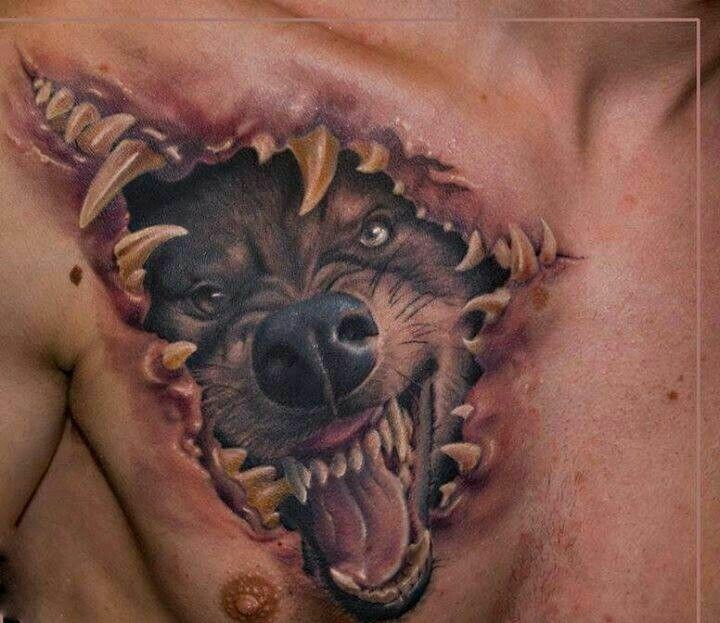 Upon further inspection, you’ll find perfection in the details of this 3D tattoo. If you took a quick glance, you’d think there really is a gun tucked in the thigh garter. It really is a perfect blend of femininity and masculinity. 25. Release The Animal In Me. It’s as if the man and the elephant are of one body. It looks so realistic that you’d believe that there is an actual elephant in front of you. This looks like a horrible prank that’s gone wrong. Too bad it’s permanent. This 3D tattoo gives a very elegant and feminine look to women. People with a good sense of humor and a passion for the arts will definitely understand this one. Oh no! Which pair of eyes is the real set? She may need another pair of glasses for this double vision problem. If anyone sees this special edition of Chuck Taylor’s, will you please let me know? I can’t find them anywhere. A delicate feather resting on her hips, perhaps after a major pillow fight. You’d really think a butterfly was resting on her shoulder. Ouch, that looks totally painful. 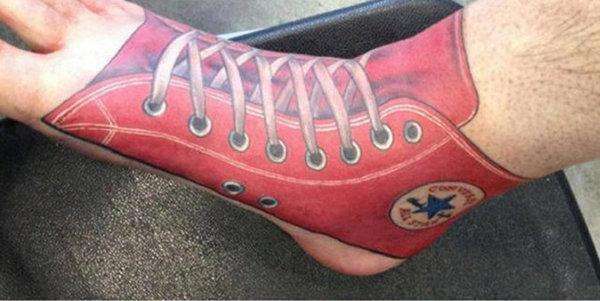 Oh wait, it’s just a 3D tattoo. Bionic man is finally here to save us! This beautiful masterpiece really looks like the real deal. Too bad it can’t tell the exact time though. Whoa, that paw print is huge! Which animal attacked you when you went hiking last summer? Are my eyes playing a trick on me? It looks as if I can poke my finger through. Please stay still until I take a picture so that this butterfly stays exactly where it is. Oh wait, it’s 3D art! The great shading on this black and white masterpiece is spot on. You’d really think the man is about to jump off the edge. The map of the hidden treasure is under your skin. This is totally awesome! Who’s been acting as you this entire time? Yikes, you’d better be careful or that snake will attack you! 7. Can You Say Eye? Wow, it’s really staring back. Now, that’s a great piece of sculpture. Here lies my third eye. Is a tiger really coming out of him? There’s a little werewolf in all of us.